The house has a floor plan of 180 sqm. An average 3 bedroom semi-detached house has a floor plan area of approx 75 sqm. 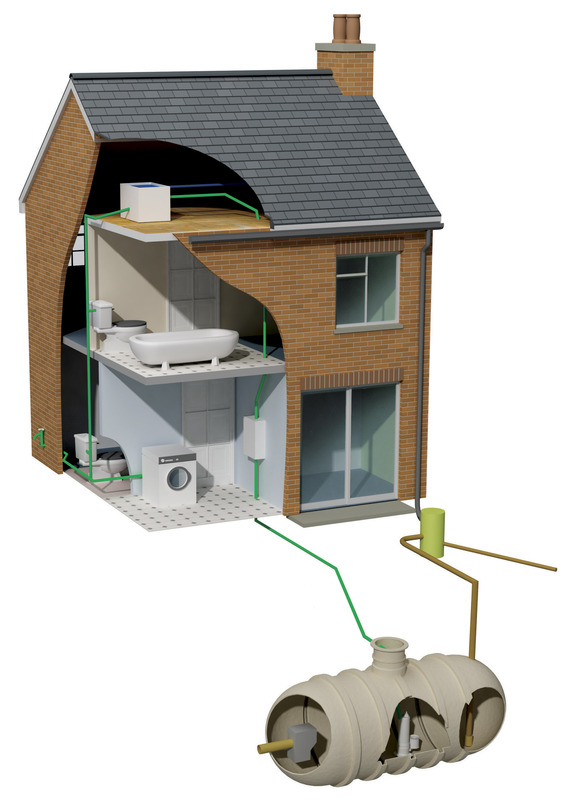 If basic energy efficient things were done to a standard semi detached house including insulation. 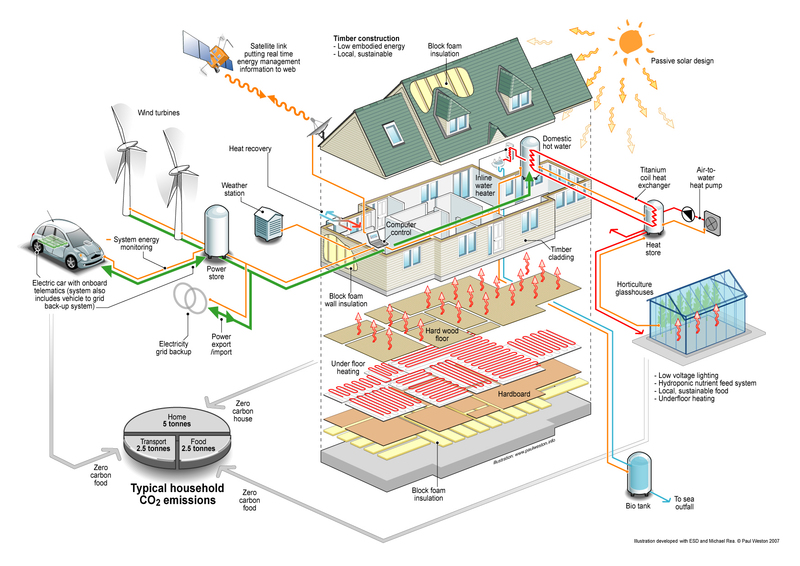 walls roof, loft, windows and floor, the carbon savings would be approximately half of the ones on the schematic. That is providing that they had some form of energy generation, wind, solar pv. You would also need either an electric vehicle, or a hybrid car.